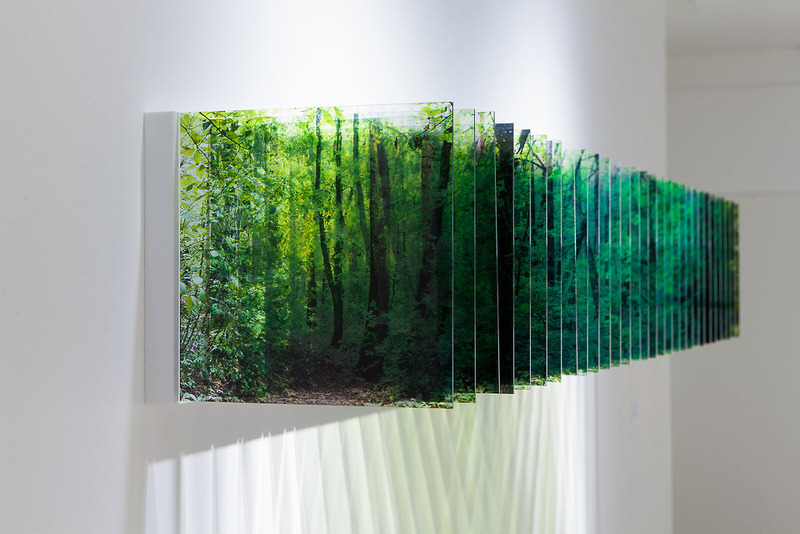 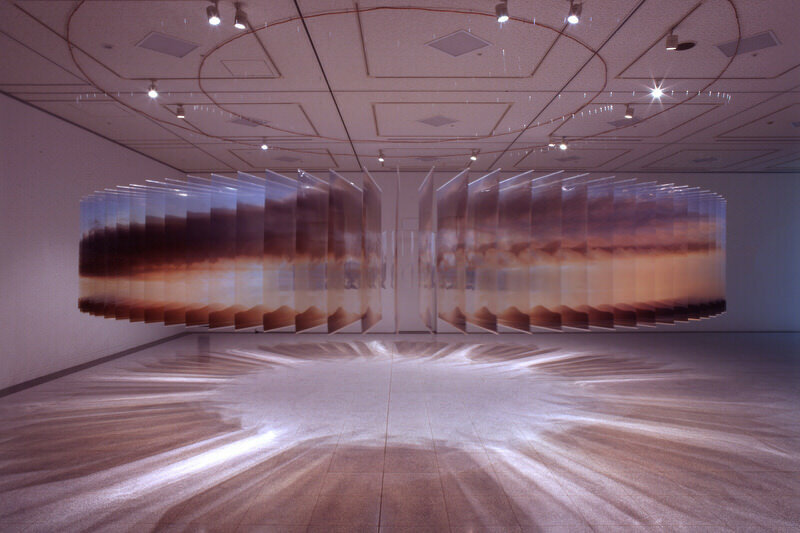 Blending the realms of photography and sculpture, Nobuhiro Nakanishi’s collection of artworks incorporates layers of transparent acrylic sheets as a medium. 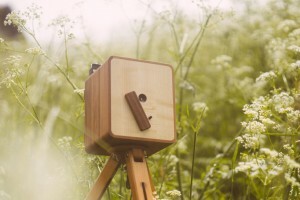 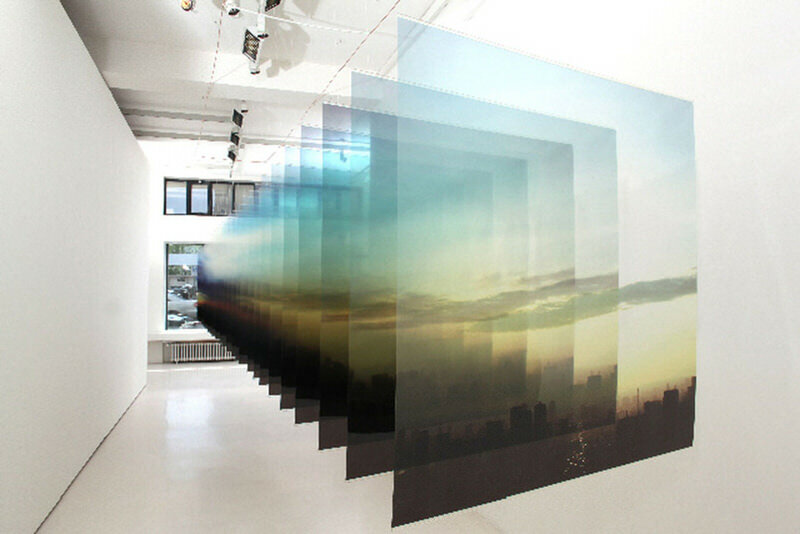 These panels are hung in parallel, with a series of chronologically captured photographs being printed onto each sheet. 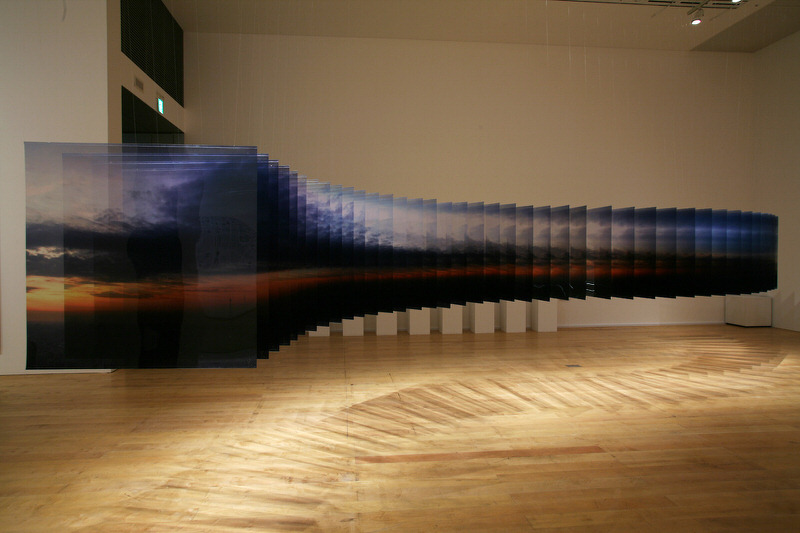 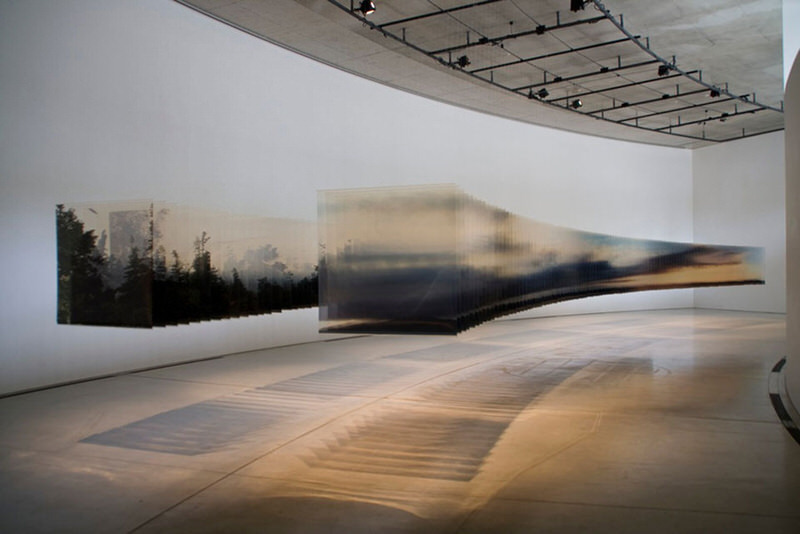 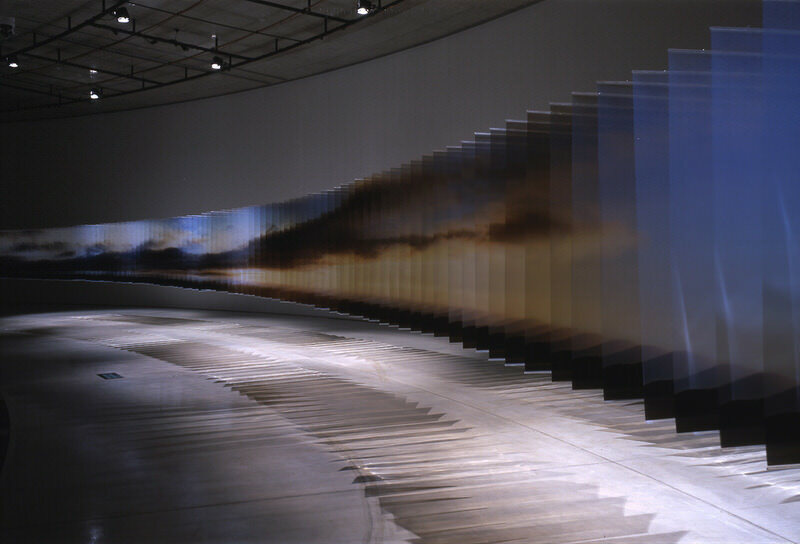 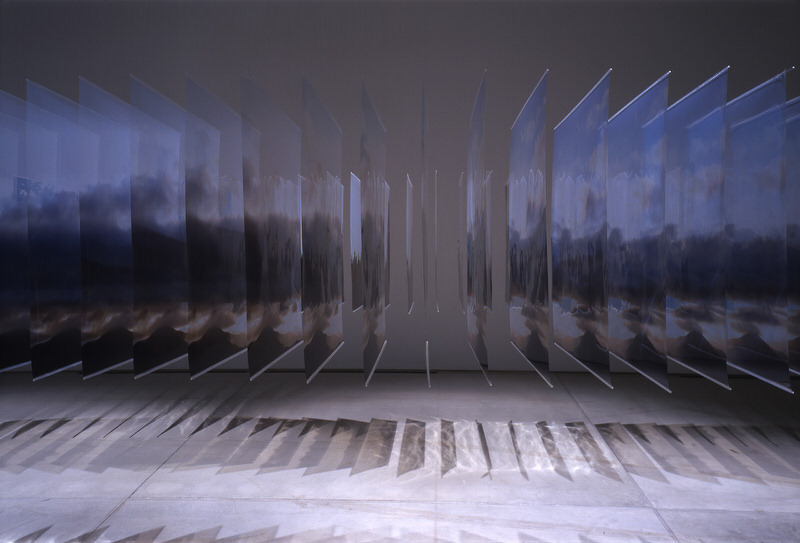 Natural landscapes play a dominant role in Nobuhiro Nakanishi’s Layer Drawings, with sunsets and the passing of clouds being ideal topics for these incrementally taken pictures. 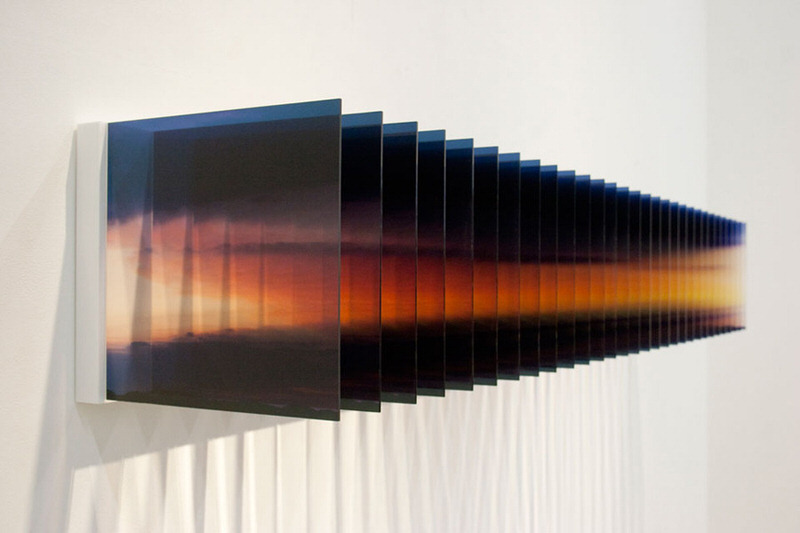 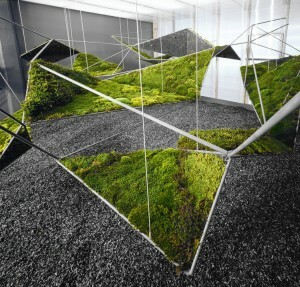 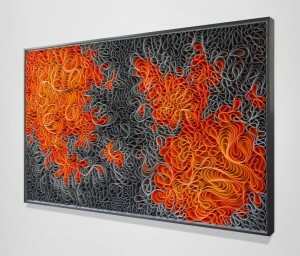 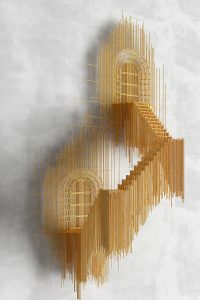 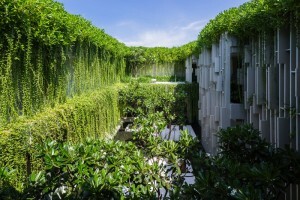 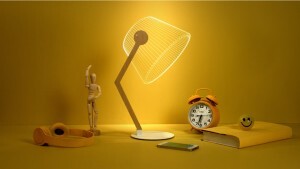 Skies darken and colours become more vibrant as time passes in each of these installations. 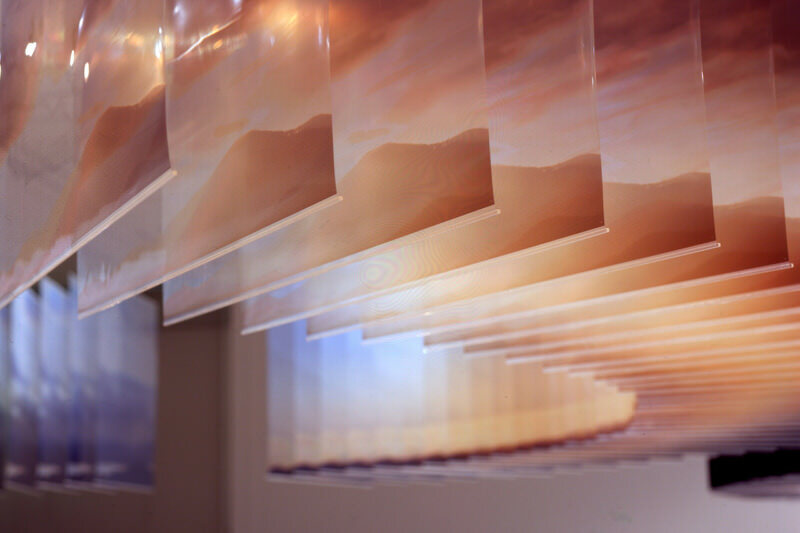 Observing the patterns of the colour-tinted shadows cast by the suspended panels becomes just as much a part of the viewing experience as the photographs themselves, such as the crisscrossing lattices of the wall-mounted installations pictured below.